The school year is coming to an end and you finished teaching the curriculum, now what? Maybe you’ve had already turned in grades, but there’s still a couple weeks left of school. 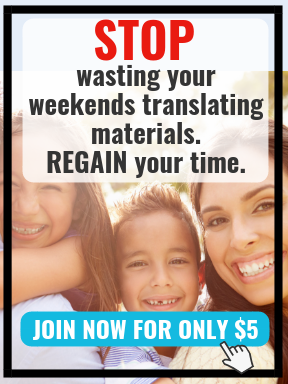 You could do countless hours of review, extra recess and clean out your classroom with your bilingual students, but why not plan something special?!? It’s always fun to incorporate some special days at the end of the school year that are also fun and not your typical school days. These should be days where don’t just do the norm— you know, centers reading, writing, morning meeting, specials and done. They should be something memorable (and educational). 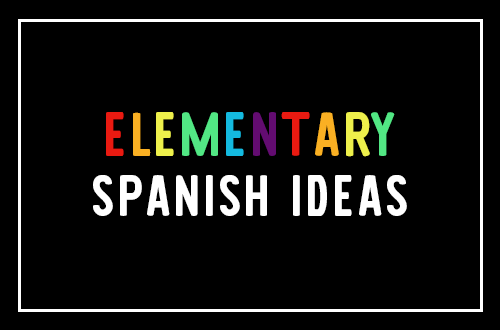 Here are some ideas that you could use at your school or in your bilingual or dual language classroom or grade level or school during the last couple weeks or month of the school year when you’re needing some filler time, activities or lessons. Field Day usually is just a day where you go outside and have different games organized games or sports planned. It could be kickball for one center or it could be Frisbee throwing. It could be an obstacle course, baseball or whatever you can some up with. During ‘Field Day’ classes rotate through the all the centers. Kids love the variety of activities and being outside. If your entire school plans a Field Day for a half day or whole day, it does take a lot of preparation and some materials obviously. It would be great if you had parent volunteers as apart to do a field day. Field Day is also a great way to teach about teamwork, sportsmanship and encouraging your peers so you could learn work on positive phrases or being a good sport. A second idea would be having a STEM day or week. Each day you could have different STEM (science related or engineering related) activities for students to do. They could work on constructing something together or in small groups or pairs. This is always a fun activity. Last year we a STEM week, and rotated classed. My class did close pin towers and the kids loved this activity. We’ve also did activities of what would sink or float. There are tons of science or engineering (STEM) activities that you could easily plan and your bilingual students will have a blast. You could contact different community helpers in your community; for example the police, firefighters, somebody from a bakery or the local store and maybe the public library. Someone from that community organization or business could come in and talk about their job, what they do and answer questions fom the students. It would also be great if you could incorporate families or parents in this activity. This idea is kind of similar to what a career day would be with the older students but your younger bilingual primary students could just learn about the different community helpers. BONUS if you could take a field trip to one of these places. In urban schools, walking field trips are always a possibility… so, check with a local library, Mexican restaurant or firehouse and see if they are willing to welcome your class. 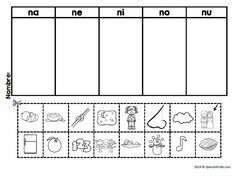 This idea takes a bit more planning but would be fun for a preschool or Kindergarten class to review the alphabet. With the ABC you would plan it out for the last month or so of the school year. Each day would have a letter and you would do a special activity, craft or sport related to that activity. An ABC countdown would be a really fun way to end the school year in the lower grade levels. Similar to the STEM week, you could have different art projects planned and either that you just do one dedicate one day and rotate throughout classrooms and your grade level. Or another way to plan it would be one art project a day. 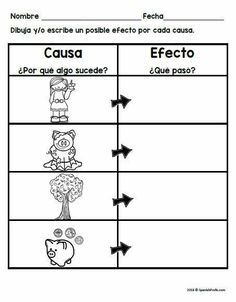 This would be something interesting for students to do that’s different from their normal schedule in your bilingual classroom. This would be similar to the field day, but you could also talk about healthy eating. Students could time themselves or count how many jumping jacks could they do in one minute. Or how many sit-ups a friend could do, your students could practice recording information. A splash day or a water day would be awesome…. Obviously pending that you live in a warm place. You would need access to hoses, but this could be a special day (or hour) where kids could play with water balloons, the sprinkler, a hose or other water toys. 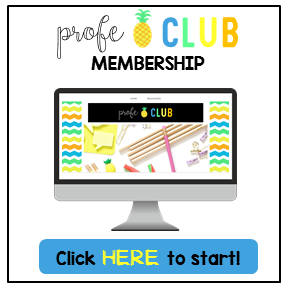 Students could make a pretend market or store. Each student could bring some donations from home; old toys, stickers, random objects Or you could ask for food donations from families or even use empty food containers or boxes. 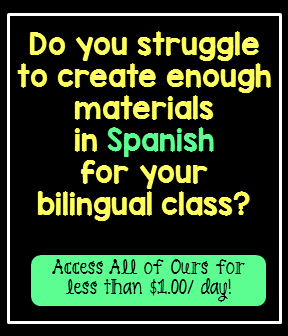 You and your bilingual students could come up with a special class economy with ways to earn “class” money leading up to this event. 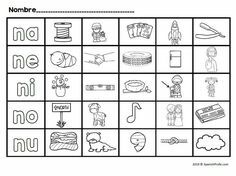 During this activity, kid would work on math problems, interacting with each other, the vocabulary they need to buy something, sell something, making change, etc. This would definitely be an interdisciplinary activity and could be related to a variety of subjects; math, language arts, asking questions, giving information, etc. That could be a great beneficial and fun day too. Each day you could make a snack. Obviously, if there are food allergies in your classroom, this idea is probably not going to work. You could look up some no cooking recipes that are half family send donations. Each day of the week, you and your students could learn how to “cook” or make a different recipe. You could try them, have taste tests and at the end of the week send home a recipe book of what they made throughout the week. Students in your classroom may come from different countries or cultures, maybe they could share something or you could make an executive decision as a teacher and choose like five different countries in the world. Maybe some special places (like Spanish speaking countries or countries represented by your classroom or community) Students could learn general information or have a little passport and “travel” to different countries. I love this idea and it can really open kids’ horizons to the world and what’s out there; something that they might not learn about during the regular day when following with the standard curriculum. Learning should be fun! You have so many great opportunities to make the last days or weeks of the school year engaging, educational and rememberable. 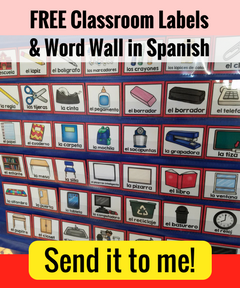 Hopefully, you think one of these ideas would be great for your bilingual classroom or grade level at the end of the school year. If you have other ideas, please leave a comment on what you do in your classroom. « Can Non-Native Spanish Speakers be Bilingual Teachers?